Synopsis: Feeling down because of his recent demotion and shunned by his neighbors because of his breakup with Priscilla Halburton-Smythe, Constable Hamish Macbeth decides to take a vacation at the Friendly House bed and breakfast on the coast. 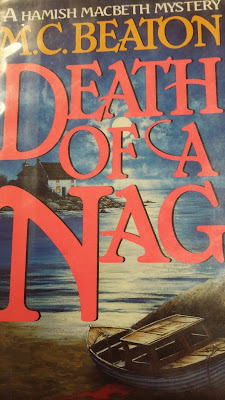 However, his vacation is ruined when another guest, abusive husband Bob Harris, is murdered and, because of an earlier altercation, Hamish becomes the prime suspect. Review: I finished reading this book a couple days ago but found I needed some time to reflect on it before drawing a conclusion about it. After taking time to think it over, I am going to say I very much enjoyed this murder mystery. There are a couple things about this book that really stood out for me. One of the big ones was the murder mystery itself. Even though his wife had the most to gain from his death (especially since she seemed to have romantic interest in another guest), Bob Harris was just mean enough for just about everyone to want to murder him. And, while my guess about who the killer was did prove to be correct, there were just enough twists involving the other guests to give me the occasional doubt, especially when there was a second murder. I also found this book really made me feel sorry for Hamish. He starts out getting unfairly punished for his breakup with Priscilla (it was just as much her fault as his), his vacation is ruined by yet another murder that he, himself, seems guilty of. And (without giving away too many details), he winds up mourning the loss of a loved one after a completely sudden death that didn't even have anything to do with the case. Things like that make fictional characters much more human, at least in my opinion. 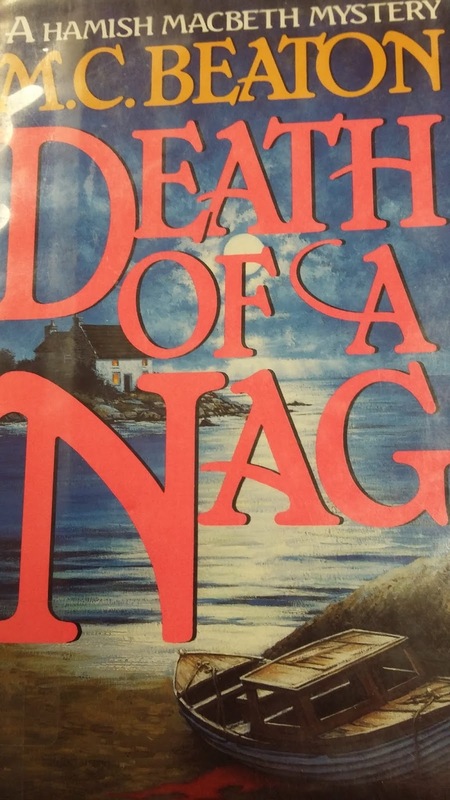 My only real complaint about this book was I wasn't a big fan of the constable, Maggie, who was essentially assigned to keep an eye on Hamish and flirt with him in an effort to get him to reveal his process/information he wasn't telling the authorities. She just didn't win me over. At first, I wasn't sure why this was but, ultimately, I realized it was because she was just so darn terrible at her job. Since she obviously wasn't going to be Hamish's new love interest, the only way she had a chance of being remotely interesting was if she proved to be his nemesis. Instead, other than a somewhat funny scene involving her getting her clothes shrunk, her non-stop complaining about not being taken seriously grew old pretty fast. Final Opinion: This proved to be an interesting murder mystery that includes a very unexpected and sad twist about midway through. I would recommend taking the time to read it.